Two-thirds of Israel’s Jews are careful to eat only foods that are kosher for Passover during the holiday, regardless of their general observance. A new survey has found that most Israeli Jews observe the holiday of Passover in some form. Two-thirds of Jewish citizens in Israel are careful to eat only foods that are kosher for Passover during the holiday, regardless of their level of observance the rest of the year, the pollsters revealed. The survey, an Internet poll conducted last week by Panels Ltd / Panel4all, queried 507 adult Israeli Jews. The findings were published Wednesday in the daily Hebrew-language freebie newspaper, Yisrael HaYom. According to the report, 66.7 percent of the respondents said they were careful to eat only foods marked “kosher for Passover” during the entire 7-day holiday, both at home and everywhere else. Only 2.8 percent of the respondents said they were careful about what they ate “only at home.” A slightly larger percentage, 4.3 percent, said they were “not consistent” in being careful. The second-largest group, 26.2 percent, said they were not careful to eat only kosher for Passover. The vast majority of Jews in Israel observe the tradition of conducting a Passover seder, according to the survey – 75.2 percent responded that they have a “complete traditional seder.” Less than 25 percent – 22.5 percent – said they have a special meal, but do not conduct a complete seder. 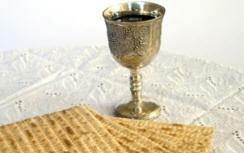 Only 2.4 percent of Israeli Jews said they do not conduct or attend any Passover seder at all. This year Passover begins at sundown on Monday, March 29. In Israel, Jews observe only one seder, and abroad, seders are conducted for two nights in a row.